Stockholm-based gaming solutions and entertainment company, NetEnt, announced how they will be launching a brand new video slot machine game in the foreseeable future, featuring Black Sabbath front man Ozzy Osbourne as the theme. NetEnt has worked with a few rock star icons to create their own unique slots. Both the Guns ‘n’ Roses and Jimi Hendrix slot games have proven to be highly successful and popular with gambling enthusiasts in the past, leading to a high demand for slots focused around other prestigious musical legends. The Motörhead video slot was the most recent addition to NetEnt’s rock star hall of fame, and their latest Ozzy Osbourne creation will feature vocal effects from the notorious bat-head-biting singer, as well as high-definition images and graphics. 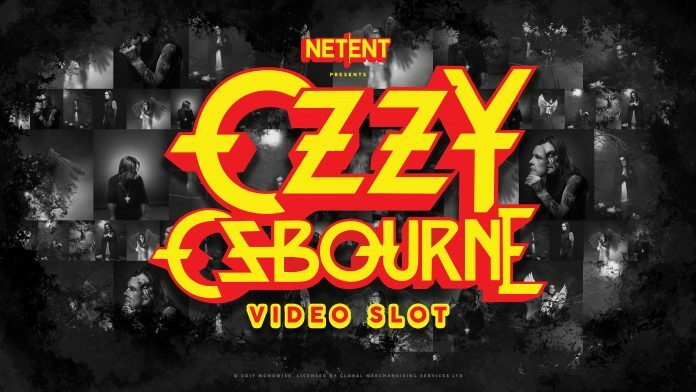 NetEnt’s director of products, Bryan Upton recently commented on the announcement to say, “Rock stars don’t come much bigger, better known, or charismatic than Ozzy Osbourne. The exciting and unexpected news comes after the gaming firm recently unveiled their latest Conan the Barbarian-themed slot, which has been adapted to suit their own style based on the character and his commonly known appearances within numerous books, films, comics and board games. “Conan is a character and a brand with a fantastic history and legions of fans all over the world. We are honored to be creating our own adaptation of Conan and can’t wait to give him the hallmark NetEnt treatment,” said Upton. Black Sabbath are considered one of the pioneering entities and most influential names in heavy metal music, who rose to fame back in the 1970s. The band was formed in Birmingham UK, and consisted of 4 members; Ozzy Osbourne (Lead Singer), Tony Iommi (Lead Guitarist), Geezer Butler (Bassist), and Bill Ward (Drummer). They played their final tour in November 2016, and disbanded entirely in March 2017. With that said, rumors have circulated to say that they are looking to reunite for a performance at the Commonwealth Games in 2022. Since they first emerged onto the scene, they have also sold over 70 million records worldwide, and have made over 20 chart-topping studio albums. Osbourne has been featured in an array of films and has made several TV show appearances over the years. He is best known for the reality show “The Osbournes” which premiered on MTV in 2002 and was last aired in 2005. His life successes have also seen him have a festival named in his honor (Ozzfest), as well several awards for his contribution to charities, and community-based projects. Now, the Prince of Darkness’s next moves will see him have his very own slot machine throughout various casinos, alongside NetEnt’s portfolio of other featured games including, Planet of the Apes, Narcos, Jamanji, Vikings, Hansel and Gretel, and Dracula. 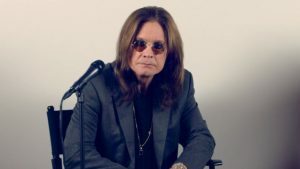 It is not known when the official release date will be announced, and so far Ozzy hasn’t been available for comment.